Reducing construction times and costs are key objectives of any construction project. Aluminium Access Systems is commited to providing construction sites with the very best access and Gantry solutions available. Here at Aluminium Access Systems, we continue to develop inovative construction access that saves you precious time and money. 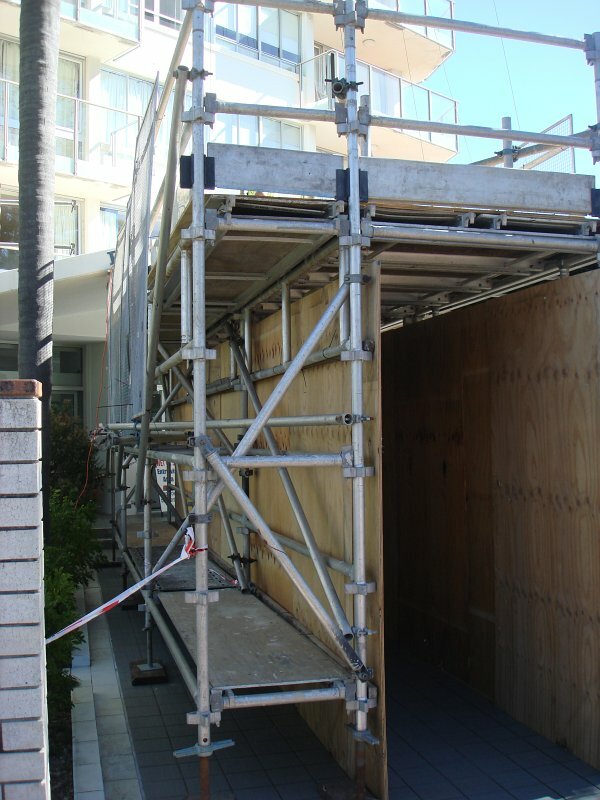 Overhead protection on construction sites to protect pedestrians from construction activities is why builders, painters and rectification contractors prefer Aluminium Access Systems. We provide solid, versitile and reliable overhead protection on all types of sites and are designed to ensure the safety of workers and pedestrians. Aluminium Access Systems Overhead Protection is designed to provide effective protection from construction material debris and other falling objects. They are impact resistant and complaint with all relevant Codes of Practice and Australian Stanadards.